It’s tax day! 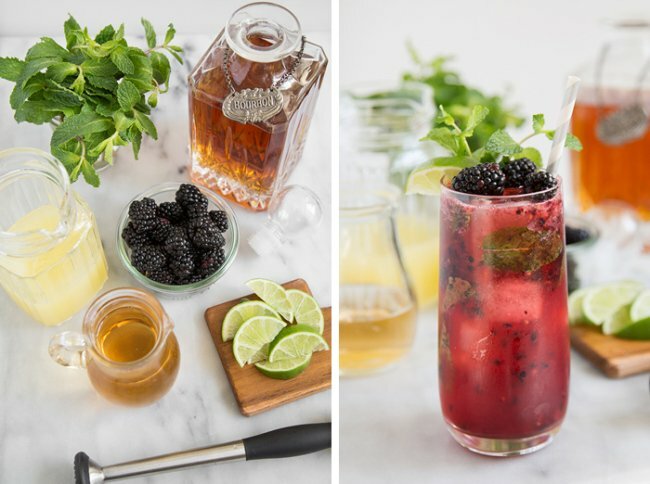 Let’s celebrate the end of tax season with a refreshing cocktail! 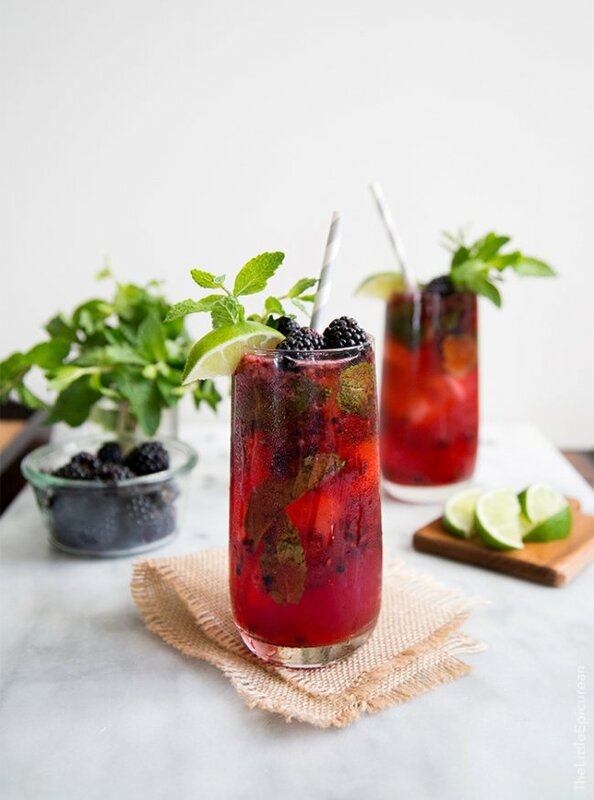 Today, we’re drinking this blackberry bourbon smash. Making cocktails for the blog is always a lot of fun…because it involves day drinking. I bought this tabletop artificial light unit last year in hopes to take photos whenever I want (meaning after 5pm), however it’s proving to be difficult. I’m still way too in love with natural light photography. Hence, day drinking will have to continue for a little longer. Simple cocktails that don’t require much prep are the best. While I used blackberries, you can substitute just about any fruit you’re in love with at the moment: blueberries, kiwi, strawberries, dragon fruit. If you don’t like bourbon… we might have a tough time being friends. However, if you keep it a secret, you can totally substitute rum, vodka or gin. 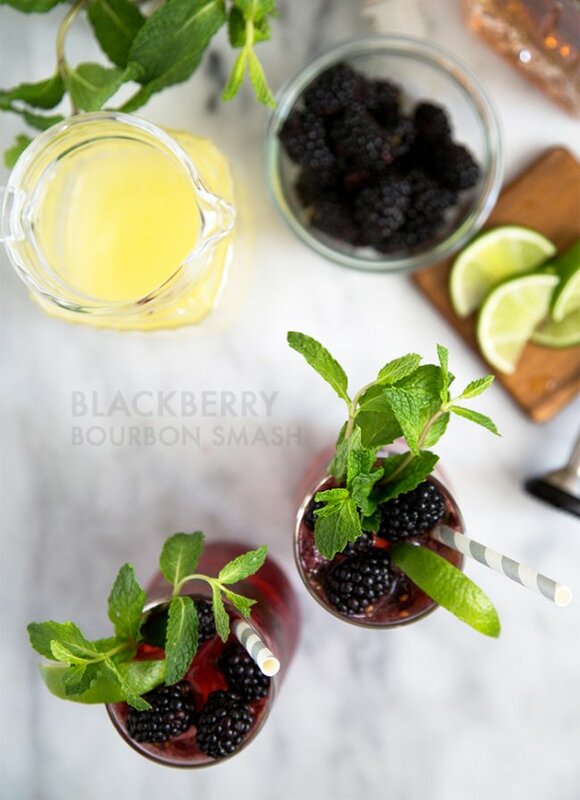 This blackberry bourbon smash has the perfect balance of sweet and tart. It’s the vibrant redish-purple tint that I find so alluring. It’s the kind of drink that I would spot at a restaurant or bar and totally order. 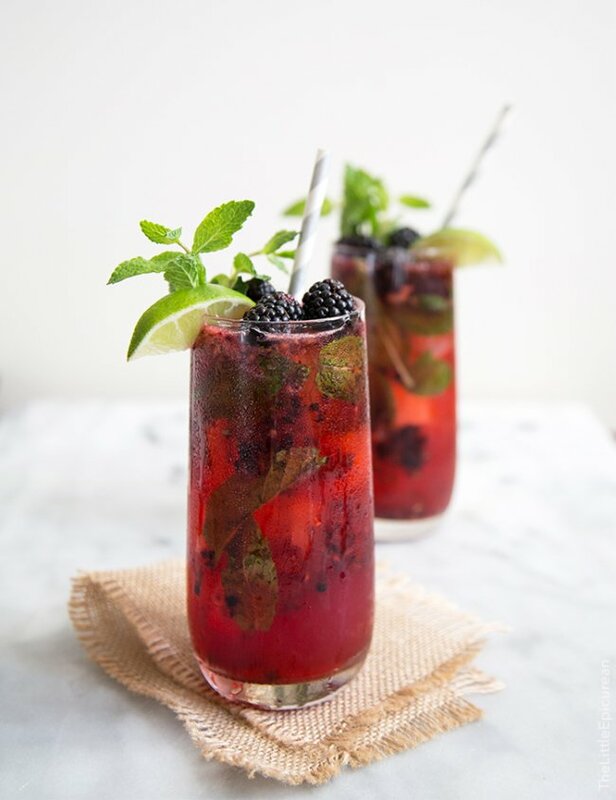 In a tall serving glass, muddle together blackberries, mint leaves, agave syrup, and lemon juice. Add bourbon. Fill glass with ice. Top with ginger ale. Stir to combine. 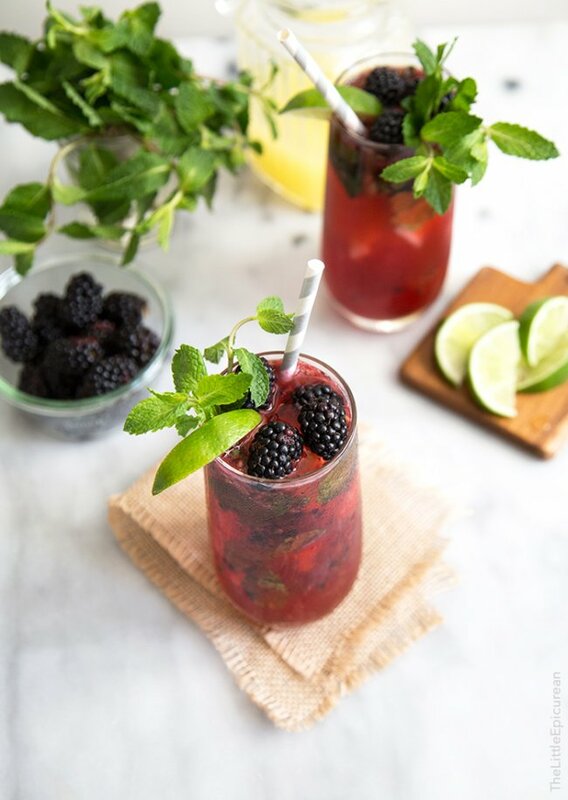 Garnish with additional blackberries, mint leaves, and lemon/lime wedges. Serve immediately. Ooohh. Now this looks like a fun drink! Love the color so, so much! Oh my, this will be a first for me, such an elegant looking drink. Yes! I also love shooting cocktail posts because it means day drinking. :-) Blackberry + bourbon is definitely a winner in my book. I wish I could sit on a sunny deck somewhere and drink this right now. Stunning. And laughing so hard over here with Income Tax cocktail. Hahaha! And I’ve tried artificial light and just can’t get behind it. Natural all the way! A very good sipping drink It took me all the way through dinner prep. Thanks for a great recipe!